We want to get paid things for free it’s in our nature 😛 but you know what iPhone users love the most, iOS apps! yeah, iOS apps and games are really awesome if you owned an iPhone 6 or higher then you should know the experience of using the apps and playing games on your iPhone. Their apps are amazing, intuitive and compatible than the Android apps. Now you think why I’m telling you this, haha because I’m a fan of iOS obviously iPhone too. Due to premiumness and incentive of iOS apps, they are very costly i.e. paid. Some Apps users spent lots of bucks on the playstore to get that app if it’s their hobby but when hobby make a hole in your pocket is not being a hobby it is wasting money on unnecessary things. SO if you’re one among them who’s spending money on App store then this article would be helpful for you, mean if you don’t want to pay to get the premium iOS apps. So today we’re gonna download paid apps for free iOS without jailbreak, Now we’ll little bit discuss “Jailbreak”. Jailbreaking your iPhone what does it mean? will it void your warranty, will it bad for future of my iPhone? So if you’re scaring from all these assumptions then you should, because jailbreaking is the way to get access to the root of your iOS device means you’re voiding its warranty if it’s not expired yet, you’re preventing your device that may not receive any future updates of the iOS. 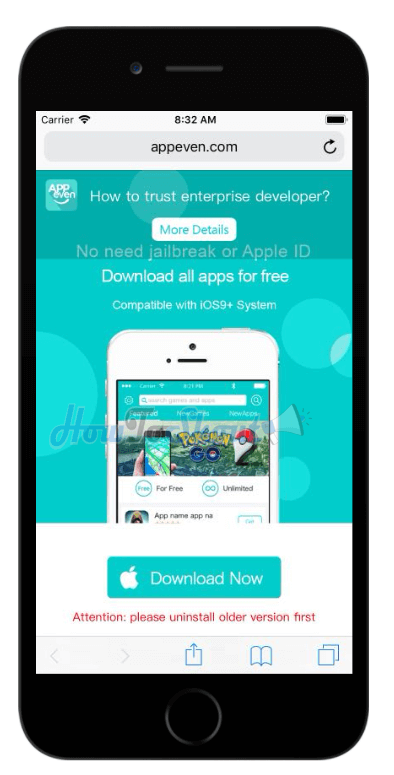 So don’t think about to jailbreak your iPhone to just get some paid apps for free, it’s not a good choice. So today I’m gonna show you some ways to download paid apps for free iOS games without jailbreak. So here are some methods to get paid iOS games for free, why I’m sharing multiple methods because if you anyone method won’t work for you then you can try the next method. So without further ado, let’s find some super easy ways to download paid iOS apps for free without jailbreak in 2018. Open this site on your Safari browser on your iPhone or iPad. Once site load completely, tap on the blue button with the Apple icon. Actually, the site is in the Chinese language so you need to translate the page into English otherwise just keep following these steps. 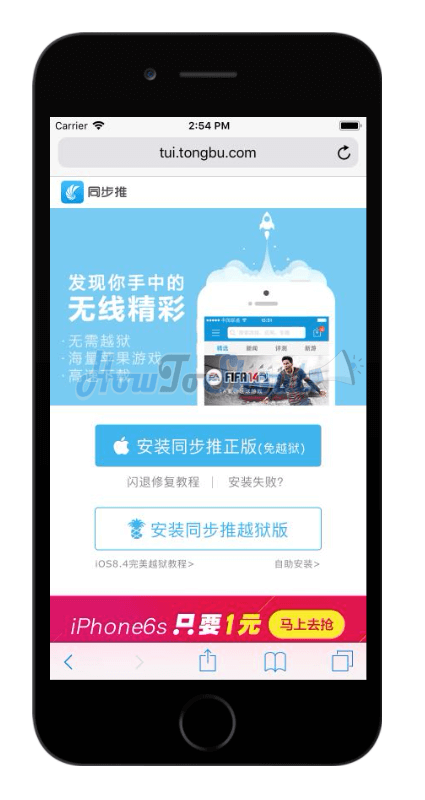 After tapping on that blue button, a popup will ask you to install the tongbu App. Simply tap on “Install” and let it install. 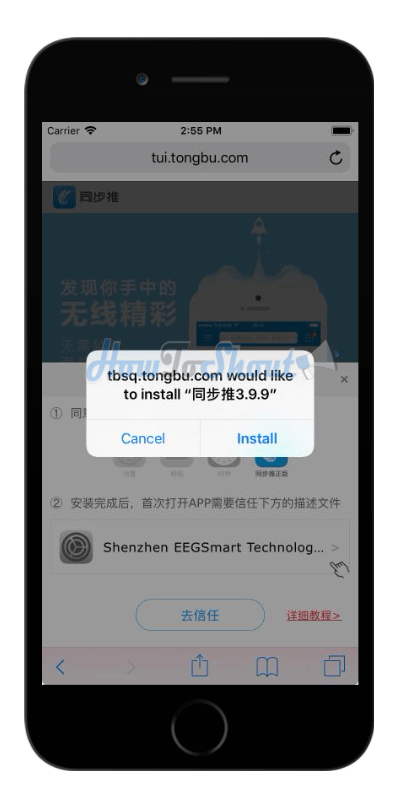 After it installed, open the Tongbu app and you’re ready to go, now just search any app that you want to download for free. Once you choose your app then tap on the Green button, it’s a download button Label written in the Chinese language. Let it download completely, Once it completed, a popup will ask you to install the app. Tap on “Install” and it will start installing on your iPhone. Hurray!! you’ve just got an app which was cost you in AppStore. Afterwards, you can run this app from the home screen. There’s another method that can download and install the MOD games and apps on iPhone without jailbreak and computer. Mod games are everyone’s favorite and you can install on your iOS device. AppValley made this possible to get paid iOS apps for free. Just follow below steps. 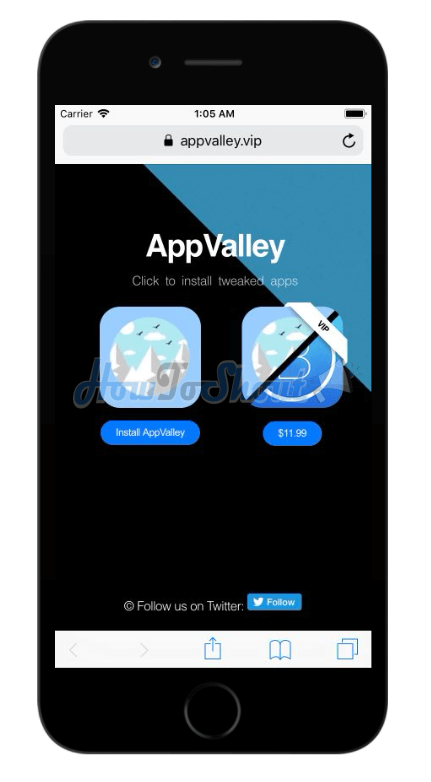 Once page loaded, tap on the “Install AppValley” and a popup will ask you to install it on your device. Tap “Install”, and let it install. No go to Settings >> General >> Profiles and tap on the developer profile of the AppValley. Once done now go back to your Apps screen and open the AppValley app and then Choose your paid app or game which you want to download. Now you’ll see the lot’s of tweaked apps and games available for free, all you need to do is just download your desired app from the list. Then your app will be installed on your iPhone easily. Once it installed, go to home screen then find the app you installed from AppValley and run it. So this is another method to get paid iOS app and game for free without jailbreak and computer. Hopefully, it will help you to get mod games for your iPhone and iPad. This is the final method to get paid apps for free iOS without jailbreak, this is the permanent way to download any patched games on your iPhone if it running on iOS 11 or few lower version. This method is not required the jailbreak process and a computer, the only need you are iPhone running on the latest iOS version. So without further ado lets start! When you’re on the AppEven’s website you could see a green button with Apple icon with label “Download Now” click it! Now a popup will appear for asking whether to install this app or not. Simply tap on install. Once it installed the app might be not open because of the untrusted profile, so you need to make it as the trusted app. Now open this app on your home screen, use the search bar to find your desired app or game that you want to install on your iPhone. The best part of this app is that it is available in the English language so one can easily use and navigate it and download the app without any problem. Hopefully, these methods will work for you. If one method is not working at your end, then try another. These all methods are safe to use, so don’t worry these apps will not harm your iPhone. 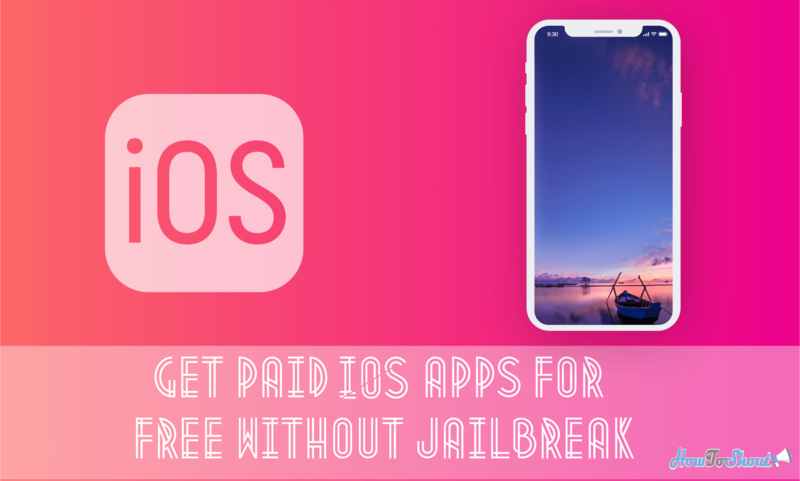 If you want to try more ways to get paid iOS apps for free without jailbreak read my another article, It is also working, these methods are compatible with the latest iOS 11 version so if you are using iPhone 6, iPhone 7 Plus or iPhone X you can easily use these apps to download any paid app for free. If you have any problem or suggestion, feel free to ask in comments we’ll update this post if other methods are out. Share this article with your friends on Facebook, Google+ and Twitter, and don’t forget t subscribe this blog. Stay Tuned! Hi. I’m trying to download a paid app “Business Inc.” in free with AppEven but it’s also paid in AppEven and when I tap get it takes me to the AppStore. I unable to download it for free. Kindly help me through this. Can you search for the app ShutterCount on any of the given stores above. That app is made by dire studio. Im not ios user so if you help me in this then i can be sure and will manage a ios device to download that app from any of your give methods above.